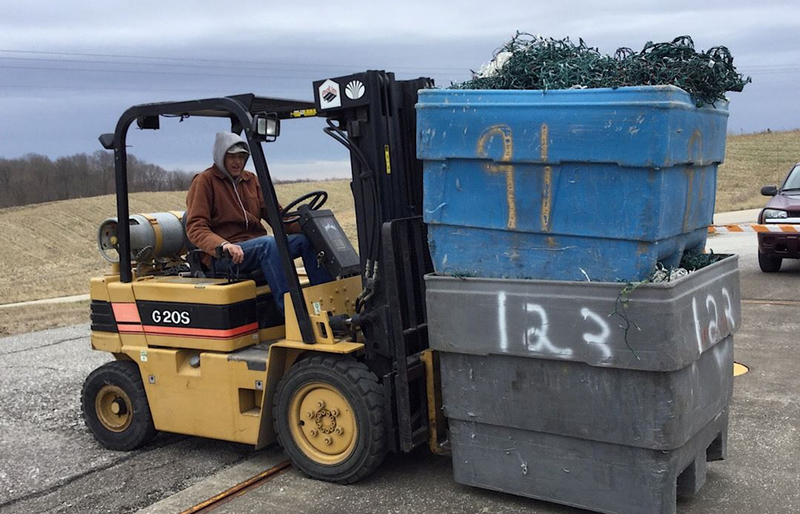 DUBOIS COUNTY -- For the first time in Dubois County, residents were invited to recycle old strands of Christmas lights. The program was a great success, with 1,230 pounds of Christmas lights recycled at the Rural King and SWMD Process Center drop off locations in December and January. “We are very pleased, and excited to keep those lights out of the landfill and get them recycled,” states Carla Striegel-Winner, director of Dubois County Solid Waste District, the agency that oversees the program. This recycling program was in cooperation with Jasper Salvage, Jasper Rural King and the Dubois County Solid Waste District. For more info on other programs offered by the District, Residents may go to www.duboiscountyrecycles.org , visit the Facebook page, or call 812-482-7865.